Good hearing lets you savor life. When it’s easy to hear, it’s easy to stay involved. Sharing laughter with loved ones, excelling on the job, remaining independent—good hearing is the key. Did you know that by age 55, one in four adults has hearing loss? And, by age 65, almost one in three has hearing loss. If you suspect you have a hearing loss, ignoring or neglecting it can make it worse. But, treating a hearing loss with hearing aids can dramatically slow its progression—helping you preserve good hearing for a lifetime! Maintaining healthy hearing starts with a baseline hearing screening at Beltone. Just as you schedule annual physicals and dental exams, it’s essential to schedule a hearing test every year. Knowing where you stand will help you hear your very best, at any age. 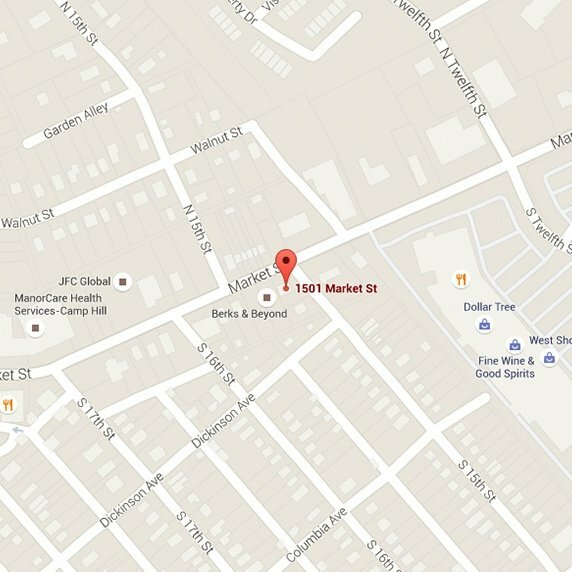 To find a Beltone location near you enter your Zip Code in the Beltone locator at the top of this page. Extremely loud noises can cause permanent damage to the tiny hair cells inside the cochlea. Even moderately loud noise over a period of time can be damaging. But just how loud is loud? Studies show that prolonged exposure to sounds at, or above, 90dB can damage hearing. 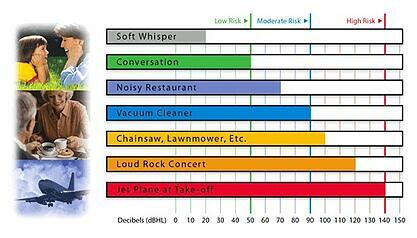 The chart above graphically illustrates some common noises and their respective dB levels.